The giant kangaroo rat is one of over 20 species of kangaroo rats, which are small members of the rodent family that (as their name suggests) move by hopping on their hind legs. Like kangaroos, their front limbs are reduced. Kangaroo rats use their front limbs for digging. Their hind legs are long and powerful, and their tails are long and used for balance. The giant kangaroo rat is the largest of all kangaroo rat species. Head and body length averages between 12 to 14.8 inches. The tail measures between 6.3 to 7.5 inches in length and ends with a tuft of hair on the tip. A giant kangaroo rat can leap over 6 feet in a single jump which helps its escape from predators. Its head and eyes are large, its ears are small and rounded, and the tail is dark with white lines along the side. Giant kangaroo rats are found on dry, sandy grasslands where they dig burrows in loose soil. They live in colonies and communicate with each other by drumming their feet on the ground. These signals help to alert other rats of approaching danger or territorial communication. They are rarely seen at night and during the day only appear for 15 minutes during a 1.5-hour period. Diet consists of seeds, leaves, stems, and buds of young plants. One of the most common plants eaten by this species is peppergrass. The seeds are stored underground for the winter months. Kangaroo rats rarely drink water and are able to obtain moisture from the vegetation they consume. Mating occurs between January and May, and the female gives birth to one to seven young after a gestation period of one month. Giant kangaroo rats live only up to four years. The giant kangaroo rat is only found in one area of less than five square miles between the Carrizo Plain and the city of Taft, located in west-central California where it is legally protected. 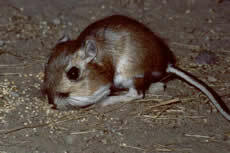 Like many other rodent species, the giant kangaroo rat is threatened by habitat loss to agricultural development. Conservation efforts for this species include attempts to find additional land for habitat in the Kern and San Luis Obispo counties of California, and monitoring of its current population, distribution, and remaining habitat. Copyright Notice: This article is licensed under the GNU Free Documentation License. It uses material from the Wikipedia article "Giant kangaroo rat". Glenn, C. R. 2006. "Earth's Endangered Creatures - Giant Kangaroo Rat Facts" (Online). 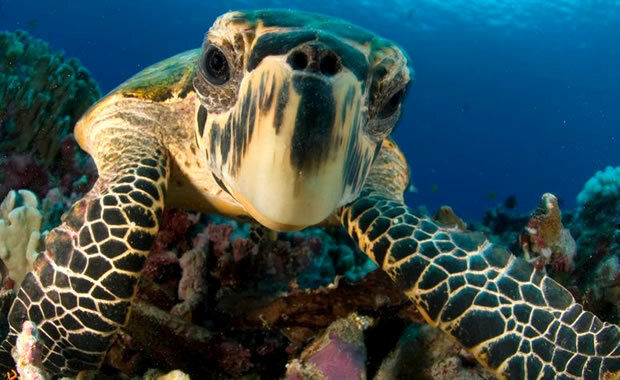 Accessed 4/21/2019 at http://earthsendangered.com/profile.asp?sp=682&ID=9. Need more Giant Kangaroo Rat facts?